Just under a week ago, Superstar K winner Seo In Kook released a music video teaser for “Take“, his remake of the 1980s hit, “Take On Me” by a-ha. 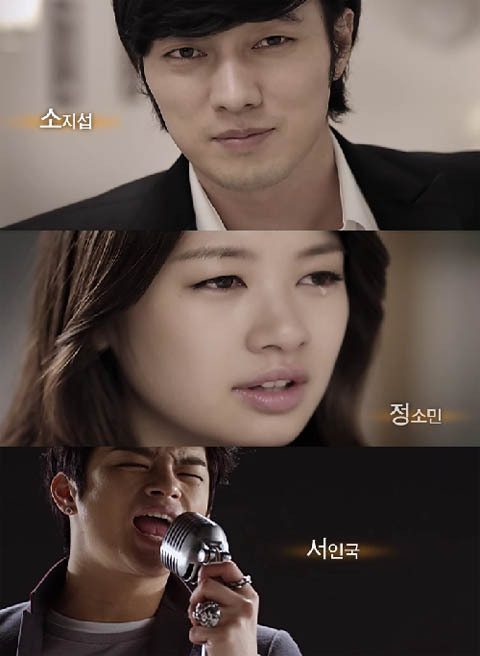 The music video stars So Ji Sub and Jung So Min, so be sure to check it out below! For those that want to compare it to the original, here it is. Singer Seo In Kook recently unveiled his MV teaser for the digital single, “Take“, and it’s been garnering a lot of interest due to participation of actor So Ji Sub and actress Jung So Min. Seo In Kook’s “Take” is a remake of “Take On Me“, an international hit from the Norwegian pop rock band, A-Ha (1985). The remake was done to celebrate the launching of the new smartphone named ‘Take’ from KT TECH. Check out the MV teaser below! MBC’s ‘Playful Kiss‘ came to an end on the 21st of October. The drama went against some tough competition and suffered in the ratings department. Despite that, the show grew a small die-hard fan base and they were quite disappointed to see the show end so soon. However, that disappointment was somewhat turned around when there was news stating that Playful Kiss would continue airing via special episodes through video sharing website Youtube. The announcement also mentioned that it will have a different storyline than the TV version! We have posted the 7th, 6th, 5th, 4th, 3rd, 2nd, and 1st specials before, and now check out the second part of making film video (as I posted the first part of it yesterday) below! The making-of video for the drama “Playful Kiss” was revealed on Novemer 17th, featuring never-before-seen scenes and various NG cuts. Since November 2nd, the Youtube channel for “Playful Kiss” has been uploading three special episodes every week, achieving impressive records in views and replies. The special episodes for the drama will come to an end on the afternoon of the 18th with the final reveal of its second making video. This will be the last video that they’ll release on the drama. But, wait for the Seung Jo’s Diary videos! We have posted the 7th, 6th, 5th, 4th, 3rd, 2nd, and 1st specials before, and now check out the first part of making film video below! On November 17th (today) and 18th, making-of films including special NG cuts will also be released! We have posted the 6th, 5th, 4th, 3rd, 2nd, and 1st specials before, and now check out the 7th special below! Meanwhile, the special episodes of Playful Kiss will be divided into seven different videos, about 10 minutes each. On November 17th (tomorrow) and 18th, making-of films including special NG cuts will also be released! MBC’s ‘Playful Kiss‘ came to an end on the 21st of October. The drama went against some tough competition and suffered in the ratings department. Despite that, the show grew a small die-hard fan base and they were quite disappointed to see the show end so soon. However, that disappointment was somewhat turned around when there was news stating that Playful Kiss would continue airing via special episodes through video sharing website Youtube. This past week, they’ve released various specials through the YouTube channel ytkiss and now three more special diaries featuring Seung Jo have been revealed. You can view English subs utilizing the cc button on the YouTube player. We have posted the 5th, 4th, 3rd, 2nd, and 1st specials before, and now check out the 6th special below! On November 17th and 18th, making-of films including special NG cuts will also be released! Earlier this week, we revealed that reporter Anna Coren from CNN’s Talk Asia program would be doing a feature series on Korea due to the country’s hosting of the G20 Seoul Summit this week. An interview was conducted with actor Kim Hyun Joong, who is the male lead for the international-hit drama, “Playful Kiss“. 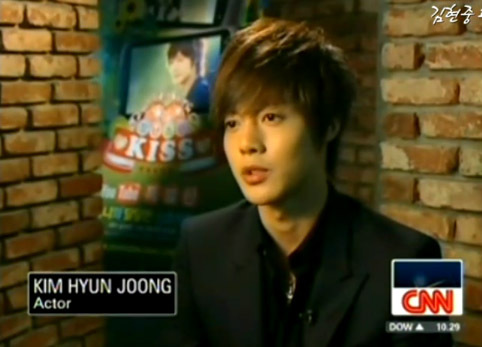 Since “Playful Kiss” is currently releasing special web episodes throughYoutube as a response to the high demand from fans, Kim Hyun Joong discussed the significance of Youtube in spreading awareness about Korean culture. His cut from the program has just made its way onto the net. Check it out below! We have posted the 4th, 3rd, 2nd, and 1st specials before, and now check out the 5th special below! This past week, they’ve released various specials through the YouTube channel ytkiss and now two special diaries featuring Seung Jo have been revealed.